Sponsor a child . . . and find yourself helped. Sometimes you go to help others and find yourself helped. Only God can do that, right? Sponsor a child through me at www.compassion.com/denisepass, change lives and receive “Shame Off You” as my gift. 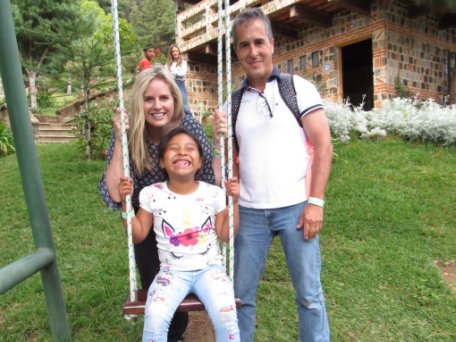 View the brief video below of a recent trip to Guatemala where my husband and I visited children at Compassion Child Development Centers in Sololá as well as an opportunity to meet one of their sponsored children. Visit my Compassion page https://www.compassion.com/denisepass to sponsor a child and receive a free book or music from me. :)n Just let me know when you have sponsored a child through the contact page on my website: www.denisepass.com/contact. As a Christian Author, Speaker, Worship Leader and Podcaster, speaking about the goodness of God is an awesome privilege I do not take lightly. Ministering at women’s conferences, worship leading or giving concerts for God’s glory is such a joy as people are affected by the Gospel, surrendering to the LORDship of Jesus Christ. It is my prayer that you are ministered to as you see the resources offered through Seeing Deep Ministries on this and other pages of this website. But another incredible thing I get to do is represent children in their distress (James 1:27). So, first and foremost, I wanted to share about an amazing adventure my husband and i are on. Having sponsored with Compassion International for over 15 years and also served as a volunteer at various events and outreaches, it gives me great joy to be a voice for those who have no voice as a Speaker with Compassion International. My husband and I sponsor two girls through Compassion International and recently got to travel to Guatemala on a vision tour to see their student centers, where a group of precious girls gathered around me and braided my hair and we got to see the incredible programs that Compassion offers sponsored children. Everything from a Christian education teaching them income producing skills, music, activities that keep children out of gangs, and a leadership development program that helps to provide a college education. We visited some of the homes of sponsored children —homes with a tarp for a covering, curtains for doors—and finally got to meet one of our sponsored daughters. That day was amazing . . .
She wanted to eat what I ate. Until I wanted shrimp. 😉 (Her favorite food is pizza or hamburgers). 😀And then I told her I wanted to eat what she wanted. It was her day. One day. And it changed our lives and hers. She giggled incessantly and we lavished her with love. We played jump rope and she did not know how. Her favorite was riding the seesaw with Clay and being pushed high on the swing. Oh . . . and thumb wrestling as we snuggled on the truck ride up and down the mountain. We knew what was coming, but dared not to think or mention it. Our brief meeting would soon end, but we would not trade the pain of leaving for the joy of meeting. And when we left her, she ran on the bus and held me tight, crying. I held her tight back and prayed over her with the help of an interpreter. Strangers just a few hours before, but strangers no more. She is our sponsored daughter in a foreign land and my sweet husband and I got to meet her. And we miss her. At first it starts off as only a picture. A face among millions. What difference can I make? Have you ever felt that way? Overwhelmed by the needs, we wonder how we can make an impact. Oh, but friend, we can. I saw it in the little faces I was so blessed to smile at last week. Hundreds of children and their parents, clinging to hope. Clay and I brought a message of hope in the midst of brokenness and God was present in our midst. They gave us hope, too. I felt hope rising as I extended love through gifts and hugs. And for $38 a month, I saw the impact my husband and I were making in our sponsored children as we visited Guatemala last week. I know – we have all heard the spiel before. But please, friend, don’t just hear it. Listen to it and ask if you, too, can sponsor a child. You can go on my page with Compassion International right now and pray over the precious lives and choose one – just one: http://www.compassion.com/denisepass. If the LORD tugs on your heart and you respond by picking a child, please let me know, because I would like to send you a gift—my new book, Shame Off You. As Clay and I saw all of the children hungry – not just for food, but for love, I saw the difference that letters written and finances given are making. One young man who had just graduated from the program shared how he was the only one alive of 20 of his friends—ONLY ONE. Because of Compassion. He saved each letter from his sponsor in a Pringle chips container. They were precious to him! These are real people with real stories and sponsorship is for a real human being you can write to and impact the direction of their life! You might even save their life! It might mean a little sacrifice. Maybe 7 cups of coffee in a month, I don’t know. But it means life to the one you give it to. Please, don’t let this moment pass you by. Click on my website with Compassion International: http://www.compassion.com/denisepass and sponsor a precious child – end the cycle of poverty for them today. RIGHT NOW. Please let me know when you have done so, so I can celebrate with you! 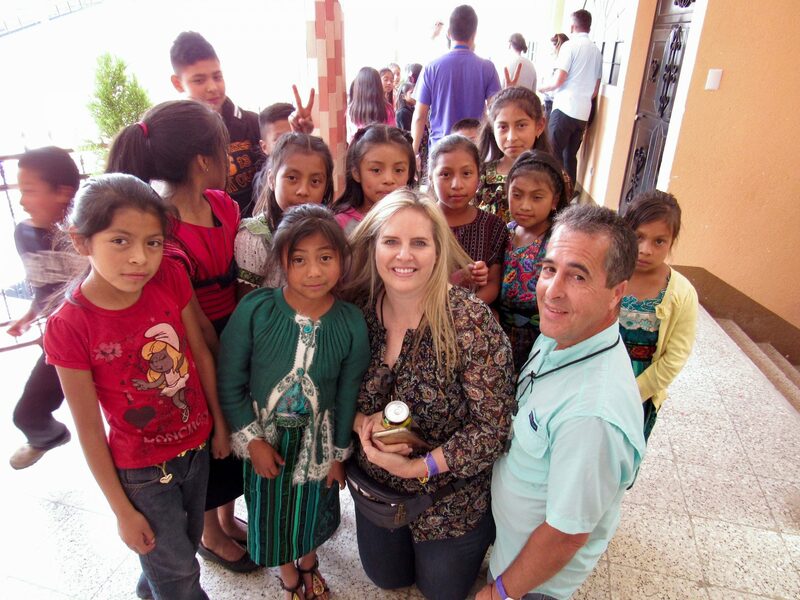 My goal is to stamp out poverty in the area of Guatemala where my husband and I went – for starters. Let’s do this together. One last thing – if you are a horrible letter writer like I am, it’s ok. You can write your child online in 5 minutes and click send. 🙂 The difference your letters and sponsorship make might be a life . . . and that life impacts other lives. Thank you for reading if you have read this far. My heart compelled me to write that I might help more. It is worth it all, friends!